Ormiston NEW Academy – House Event: Bake Off! Wednesday 10th April – Scafell, Snowdon and Nevis go head to head to head in a bake off challenge! This years theme of ‘House Bake Off!’ is rainbow Easter. 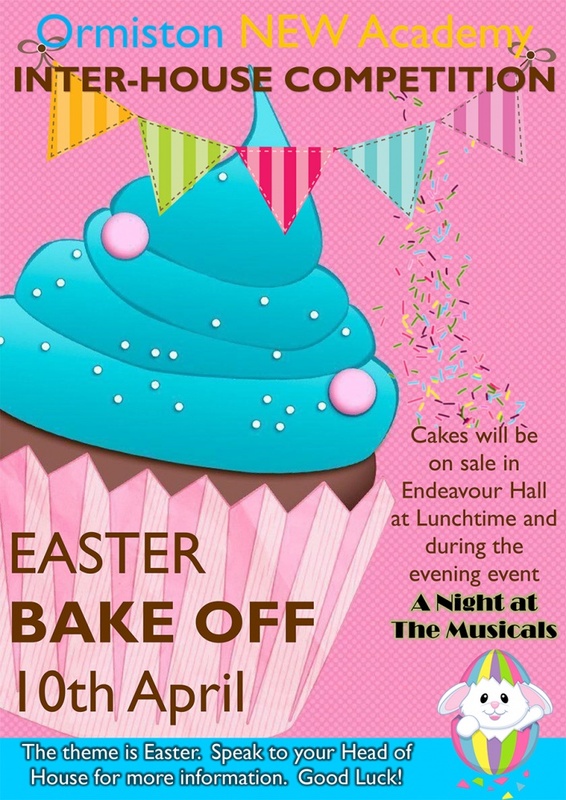 Students and staff will bring in their creations to compete to be crowned bake off champions. Ready, Set, Bake! For more information or if you would like to take part in the competition contact your head of house.